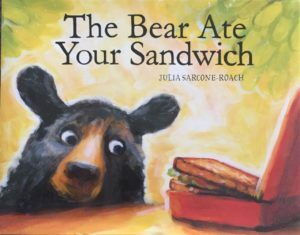 My book pick for March is, The Bear Ate Your Sandwich by Julia Sarcone-Roach. A fun book for early readers or for storytime. Oh, that sandwich. Right. UM. Well. It all started with the bear…….